The Act gives councils a framework and powers to decide what activities to carry out and how they will carry them out. The Act also states that councils are accountable to their communities.4 The performance information included in the LTP is an important part of how councils demonstrate that accountability. Councils are required to present information on community outcomes, groups of activities, and a statement of service provision (including performance measures and targets) and clearly and logically link them together. We refer to this information collectively as the "performance framework", although the Act does not use this term. the opportunity to improve performance frameworks to ensure that they will continue to be an effective basis for accountability. In this Part, we do not comment on all aspects of councils' performance frameworks as disclosed in their LTP. We consider that there is an opportunity for further discussion about the effectiveness of councils' performance reporting to ensure that it remains fit for purpose. As part of our work, we plan to take a more active role in influencing improvements in performance reporting throughout the public sector. Community outcomes: the outcomes the council wants to achieve. Groups of activities: activities in each group of activities are clearly identified. Rationale for activities: how the groups of activities contribute to well-being/outcomes and to the council's strategic objectives and duties. Significant negative effects: any significant negative effects that an activity might have on the community. Service levels: including intended levels of service delivery; any intended changes to the level of service provided in the year before the first year covered by the plan and the reasons for the changes; and the reason for any material change in the cost of a service. Performance measures (for service delivery): the specific criteria or means used to objectively measure performance (in detail for years 1-3, in outline for years 4-10). They include the mandatory performance measures specified under a rule made under section 261B. Targets: the level of performance sought (supported by quality information) on forecast expenditure, assets, resources (capability, capacity), and robust assumptions. It is important that the council selects the forecast performance measures and targets well to provide a meaningful picture of its activities and levels of service. This includes considering aspects of service and performance that are of greatest importance to the community and reflect the financial significance of the activity. The measures disclosed in the LTP are a critical part of the performance framework, because monitoring and reporting against these measures (in the annual report) allows councils to demonstrate their performance. Did councils' performance frameworks have a logical flow? Most councils' performance frameworks in their LTPs had clear links between each of the components described in Figure 1. Some councils presented the logical flow of the parts of their performance framework on one page. The information presented often included links between the LTP and the council's other strategic documents. We considered that these types of disclosures usefully helped readers' understanding of how the council was going to demonstrate accountability. However, in many instances, the community outcomes being sought were so broad (see paragraphs 2.17 to 2.22) that they linked to most of the groups of activities the council delivers. It is unlikely that all activities will support community outcomes to the same extent. Therefore, we considered that it was helpful when councils provided an indication in each of their activity statements of the primary community outcome that the activity was seeking to support. 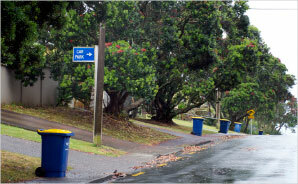 For example, Napier City Council took this approach and also noted secondary contributions. Central Otago District Council and Waimakariri District Council, in disclosing their performance measures and targets for each activity, made a clear link back to the relevant community outcomes. In contrast, most councils simply described, at a high level, which community outcome the group of activities related to. What community outcomes were disclosed in the 2018-28 long-term plans? On average, councils had five community outcomes in their 2018-28 LTPs. Figure 2 shows the words councils used most in their community outcomes. The outcomes set by councils were generally broad aspirations. For example, half of the regional councils had a community outcome including the phrase "healthy environment". Because community outcomes are so broad, there is a risk that members of the community will not understand what actions the council is taking to contribute to the community outcome and how the council will measure and demonstrate whether it has achieved that outcome. A small number of councils included specific outcome measures and indicators that they will use to demonstrate achievement of, or progress towards, the outcomes they seek. For example, Hawke's Bay Regional Council disclosed 23 specific outcome measures in its LTP. Some councils provided additional content, such as goals or descriptions of how they plan to achieve the community outcomes. For example, Buller District Council provided information under each community outcome on its related objectives ("What does Council want to achieve? "), how it will contribute to achieving those objectives, and relevant programmes and projects. Councils described their community outcomes using a wide variety of words, most commonly: community, sustainable, environment, economy, and strong. A third of councils explicitly said in their LTPs that they had refreshed their community outcomes as part of preparing their 2018-28 LTPs. Most councils signalled that they did this to better align their outcomes with their vision and goals. It is important that community outcomes align with the strategic direction that the council wants. Most councils plan to demonstrate performance towards community outcomes by reporting against their performance measures for service delivery (at an activity level) in the annual report. Because performance measures tend to have a short-term focus, it will be important that councils collect trend information over multiple years to provide an indication of how they are making progress towards their long-term outcomes. On average, councils had 11 activity statements. Each activity statement generally had numerous performance measures. The performance framework in councils' LTPs should provide enough information about what is important to the council and the community. However, it is important that readers are not burdened with too much detail and that the cost for councils preparing the information for reporting in the annual report is not onerous. Reporting against each of these performance measures is a significant task for a council and is likely to be long and detailed in the council's annual report. Few members of the community will have the desire or the ability to read and assess this amount of information. There could be an opportunity for councils to further aggregate their groups of activities to reduce the amount of repetitive information and performance reporting for similar activities. There might also be an opportunity to consider and reduce the number of performance measures that a council has. For example, Christchurch City Council removed about 235 measures from its previous performance framework. We have previously reported concerns that some of the mandatory performance measures do not provide a meaningful indication of a council's performance. In our view, it is timely for the Department of Internal Affairs to consider whether the current suite of mandatory performance measures is fit for purpose. There were only a few instances where, having completed the audit of the 2018-28 LTPs, auditors made recommendations to councils to improve their performance frameworks. The recommendations were for improvements for the council to consider as opposed to significant concerns about the performance framework. This reflects that councils are generally providing a logical and reasonable performance framework. That is not to suggest performance frameworks could not be improved. Parliament is currently considering whether it should reintroduce the four well-beings into the Act.9 This would provide for councils to play a broad role in promoting the social, economic, environmental well-being of their communities, taking a sustainable development approach. This could be an opportunity for the local government sector to think more deliberately about what it reports and how it will report it. 4: Local Government Act 2002, section 3. 5: Local Government Act 2002, Schedule 10, clause 2. 6: Community outcomes are the outcomes that the council aims to achieve in meeting the current and future needs of communities for good-quality local infrastructure, local public services, and performance of regulatory functions (Local Government Act 2002, section 5). 7: Local Government Act 2002, Schedule 10, clause 4. 8: Parliamentary Commissioner for the Environment (2015), The state of New Zealand's environment: Commentary by the Parliamentary Commissioner for the Environment on "Environment Aotearoa 2015" , page 6. 9: Amendments to the Act changed councils' focus on the well-being of the community to a more restricted focus on core services and cost-effectiveness.